During the 2017-2018 school year, Northbound Ventures supported the Franklin Regional Council of Governments North Quabbin Community Health Improvement Plan Steering Committee with its school nutrition initiative. Funding for the technical assistance to eleven schools in ten public school districts was provided through the County Health Rankings & Roadmaps (CHR&R) program. Northbound conducted site visits, consulted with school food service directors, and delivered customized recommendations on food presentation, marketing, standard operating procedures and best practices, food and wellness policy, and menu planning to incorporate more locally grown product. In 2019, Springfield Public Schools (SPS) will open a state of the art Culinary and Nutrition Center to service the second largest district in New England. The facility will enable the district and its food service management company partner, Sodexo, to enhance the nutritional and sustainability profile of the 50,000-60,000 meals served daily to students. In the 12 months leading up to the center’s opening, Northbound has worked with SPS to establish baseline sourcing data, to research available local product to meet new menu opportunities, and to set three and five year sourcing goals designed to provide exceptional nutrition for kids through a meal program that integrates student learning with district investment in the local food system. Following on a year’s worth of collaboration with Northbound Ventures to establish a food systems and sustainability roadmap and goals, Boston College Dining Services was awarded a three-year grant from the Henry P. Kendall Foundation. Northbound continues to support BC Dining as it implements the roadmap. Activities to date include hiring a Regional and Sustainable Food Systems Manager, purchasing a mobile demonstration kitchen for educational and training events, and launch of FRESH to Table at Corcoran Commons. FRESH to Table promotes healthy, regional, socially just, and sustainable food, focusing on community awareness, education and BC's Jesuit values. Mill City Grows fosters food justice by improving physical health, economic independence and environmental sustainability in Lowell, Massachusetts through increased access to land, locally-grown food and education. Since 2011, the non-profit has grown operations to three urban farms and seven community gardens producing 30,000 lbs of food annually. The organization’s robust programming reaches thousands of Lowell residents each year. In 2016, Mill City Grows was awarded a USDA Community Food Projects Grant. Northbound Ventures assists the organization with evaluation strategy, process, and tools to track progress and impact indicators associated with planned outcomes. Holyoke, Massachusetts is a traditional New England post-industrial urban center with a unique past and emerging future that includes technology, hospitality, and agriculture. For the Local Foods, Local Places project, Nuestras Raices, along with leaders from the Cooperative Fund of New England, Holyoke Health Center, Holyoke Community College, Holyoke Public Schools, the City's Economic Development & Planning Office, Springfield Food Policy Council and Holyoke's diverse neighborhoods, gathered to craft a community action plan. Action items focus on strategies to grow the city’s food economy, to increase access to healthy food, and to include food production, food businesses, and food culture in the planned redevelopment of the city. Community change makers in Bridgeport, Connecticut include the Bridgeport Farmers Market Collaborative, Bridgeport Food Policy Council, Green Village Initiative, A Pinch of Salt, The Center for Food Equity & Economic Development at the Council of Churches of Greater Bridgeport and the City's Office of Economic Development and Planning. The LFLP pre-workshop community tour of seven leading food system initiatives across the city examined the food stresses faced by many residents and the organizations working to provide equitable and sustainable solutions. From robust marketing of assistance programs at all seven farmers markets, to training programs for aspiring chef entrepreneurs, to community gardens, farms, and shared kitchens, collaborators are working to lower and eliminate barriers for those who want to eat well, grow food, and boost business in Bridgeport. Detroit Public School Community District (DPSCD) services more than 50,000 students in 115 schools across the entirety of Detroit. Its Office of School Nutrition (OSN) has earned a national reputation for engaging students through a school food program that features healthy, fresh produce including 22,000 pounds of fruits and vegetables grown annually on its own Drew Farm in the Barton-McFarlane neighborhood. Building on the success of its program and capacity of Drew Farm, the DPSCD-OSN has developed a plan to design and develop an outdoor education center featuring food production spaces at the Mackenzie Elementary-Middle School. Restoring and reimagining 12 acres of school grounds will create new opportunities for community engagement and connectivity between Mackenzie students, their families, Barton-McFarlane neighbors and their shared food system. In 2017, Northbound Ventures interviewed a dozen communities across the United States to document their experiences as grantees of the Environmental Protection Agency's Brownfields Area-Wide Planning program since 2010. The result is this Groundwork USA report, Planning with an Eye Toward Implementation: What All Communities Can Learn from Using a Brownfields Area-Wide Planning Approach, which highlights planning and implementation strategies that any city or town can use to engage stakeholders, leverage funding, revive neighborhoods, and establish thriving economies. Communities profiled in this report include: Spokane - WA, National City - CA, Borough of Carlisle - PA, Lawrence - MA, Chicopee - MA, Ironbound in Newark - NJ, South Bronx - NY, Janesville - WI, Portland - ME, and Yonkers - NY. In July 2018, the City of Somerville, Massachusetts completed a comprehensive food system assessment led by Shape Up Somerville, the Somerville Food Security Coalition, and over a dozen local community organizations with support from Tufts University. As facilitator and project partner, Northbound Ventures helped the collaborative to visualize the city’s food system landscape and to evaluate the efficiency and effectiveness of existing resources to respond to diverse needs. Research, asset mapping, and stakeholder engagement was aimed at understanding how infrastructure, services, and economic, social, and cultural factors influence food procurement patterns. The final report will be used to draw meaningful conclusions about food access and security interventions and to inform future neighborhood planning, programs, and policy. Read the Somerville Community Food System Assessment. Healthy Chelsea, a program of Mass General Hospital’s Center for Community Health Improvement, works to improve access to healthy and affordable foods, to raise physical activity levels, and to reduce hunger of Chelsea, Massachusetts residents. Among the community coalition’s priorities is to address the volume of healthy foods that are selected and consumed by Chelsea Public School (CPS) students during school lunch. Since 2015, Northbound Ventures has provided nutritional data analysis and strategic guidance on menuing to Healthy Chelsea, CPS, and the district’s food service management company. As a result of this project, many healthier alternatives have been introduced and high school lunch entrees have dropped saturated fat and sodium content by more than 30% without sacrificing participation rates. United Teen Equality Center (UTEC) in Lowell, MA was founded in 1999 as the result of an organizing movement driven by young people to develop their own teen center in response to gang violence. Today, UTEC’s nationally recognized model engages the area’s most disconnected youth in workforce development, alternative education, and programming grounded in social justice and civic engagement. Building on three successful social enterprises (mattress recycling, woodworking, and café), UTEC sought the partnership of Northbound Ventures in 2016 to develop the business plan and outreach strategy for its fourth workforce development program – a commercial community kitchen. Opening its doors in early 2017, the new 5,000 square-foot UTEC Kitchen will create jobs for 16 youth in food production and add valuable processing, rental, storage, and culinary class space for local food entrepreneurs and community partners. More story and photos of UTEC Kitchen. Local Foods, Local Places is a program sponsored by the Environmental Protection Agency (EPA) with other federal partners, which helps communities create walkable, healthy, economically vibrant neighborhoods through the development of local food systems. Local Foods, Local Places aims to boost economic opportunities for local farmers and businesses, improve access to healthy local food, and promote childhood wellness. Twenty-six communities were selected by the EPA in 2016 to receive technical assistance in support of local food system community action plans. Northbound Ventures had the privilege to assist the cities of Baltimore, Maryland and Gary, Indiana. In collaboration with PlaceMatters, Groundwork USA, and Sasaki, Northbound Ventures provided technical assistance and facilitation for Local Foods, Local Places Baltimore. 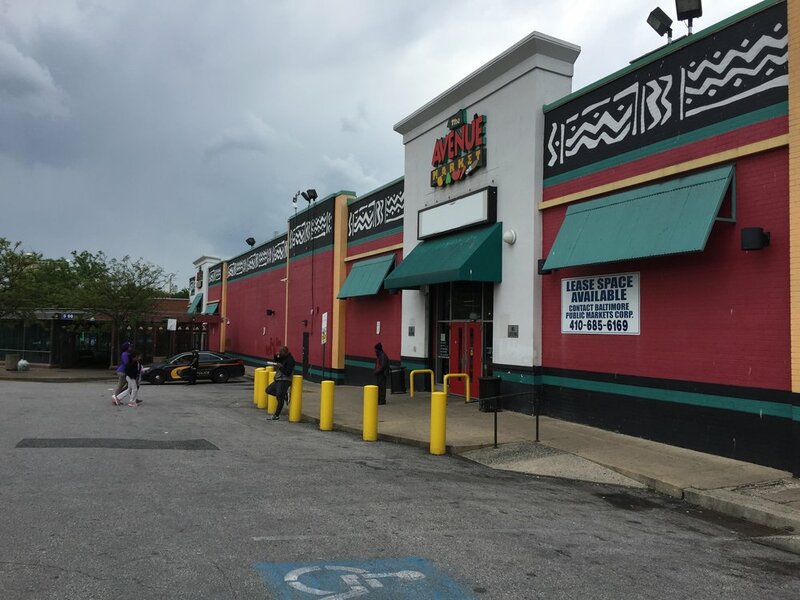 A two day workshop in May 2016 focused on reactivating the more than 10,000 square foot commercial space of Baltimore Public Markets Corporation's Avenue Market located in the historic Upton/Druid Heights neighborhood of the city. The community's action plan focuses on ensuring fresh, healthy food is available daily, increasing sourcing from local urban farms, and improving safety in and around the market. In partnership with PlaceMatters and Sasaki, Northbound Ventures provided technical assistance and facilitation for Local Foods, Local Places Gary in August 2016. The two day community workshop began with local site visits to established food enterprises, community gardens, a planned urban orchard, and ArtSocial, a new kitchen incubator space. The community's action plan focuses on scaling up urban agriculture production throughout the city, increasing capacity and collaboration of community gardeners, and fostering a food district in the Emerson neighborhood. More about Local Foods, Local Places. The Eos Foundation is a private philanthropic foundation committed to breaking the cycle of poverty by investing in children’s futures. The foundation's community engagement and grant making efforts enable school districts across Massachusetts to provide affordable, healthy food programs to students. In light of several recent converging factors - demand for critical food system infrastructure, need for operational efficiencies in schools to meet increased national nutritional guidelines, and the release of the MA Food Plan, Eos looked to Northbound Ventures in the fall of 2015 to research the potential development of regional commercial kitchens, specifically any national or state regulatory hurdles and any existing excess capacity with the potential to serve school districts’ needs in lieu of new construction. Northbound's research included 52 districts that serve almost 280,000 students statewide and revealed significant interest in school district co-production or buyer-seller relationships resulting from shared facilities. 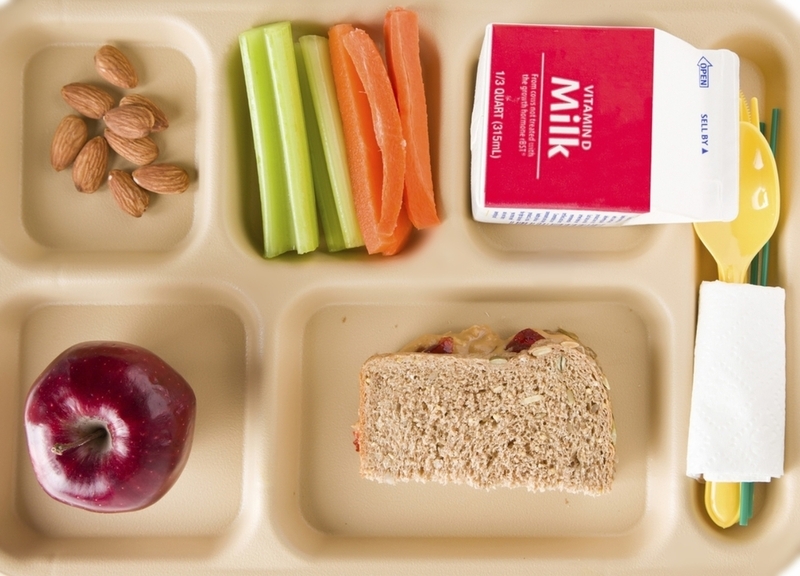 New Bedford Public Schools has a vision to remove hunger as a barrier to education and to create a “state of the art” food and nutrition program. In collaboration with Eos Foundation, Northbound Ventures provided New Bedford Public Schools with a roadmap for fulfilling its food and nutrition program vision following a comprehensive assessment of current food service operations via extensive document review, school site tours, and interviews of key personnel. In its final report, Northbound identified areas of excellence for continuation and opportunities for improvement based on benchmarking best practices and key performance metrics of similar districts. In May 2015, Holyoke Public Schools (HPS) became the second district in Massachusetts to be voted into receivership. Under new administrative leadership, HPS is executing a turnaround plan based on a full review of all academic and support programs, including the district’s food services. Eos Foundation selected Northbound Ventures to conduct a nutritional, financial, and operational review of HPS' food services contract and operating model. The assessment included comparable district benchmarks and scenario analyses for a range of operating structures and student meal options, with a focus on the potential nutritional, financial, and logistical impacts of each. Among other recommendations, Northbound identified opportunities to increase participation through expansion of breakfast in the classroom (BIC) and to collaborate with community partners to develop culturally appropriate menus and culinary training programs for HPS students. In May 2015, Northbound Ventures was engaged by Nick Martinelli with funding from a USDA Rural Business Development Grant in collaboration with The Carrot Project and Fair Food Fund. The assignment was to conduct a needs assessment and feasibility study for a food hub or other food distribution business to be based in the Berkshires. Our approach included interviews of 60+ local, regional and national stakeholders including growers, food hub directors, grocers, municipal leaders, distributors, processors, food service companies, industry advocates, and institutional buyers. We developed a landscape of current food systems activity in the targeted geographic market and created a sophisticated, but easy to use, financial model to test the viability of the business. Today, Marty's Local has launched and is successfully serving initial clients with product from local growers. The Hotchkiss School in Lakeville, CT has established itself as a leader in the sustainable and regional food system movement through a progressive approach to growing, sourcing, and preparing food. The dining program, managed by Sodexo, and Hotchkiss' own Fairfield Farm serve not just as nutritional vehicles for the campus community, but enable experiences that integrate and reflect the strong health, environmental, social, and academic values of the school. Northbound supports the school's commitment to the Real Food Challenge and its efforts to maintain aggressive and innovative food sourcing practices, including incorporation of foods grown and raised on campus in the dining program. Smith College in Northampton, MA has a unique campus dining platform consisting of twelve residence-based dining halls and a campus center cafe. The primary objective of Northbound Venture's semester long project for Smith's Dining Services' strategic planning committee was to establish a new set of data illustrating patterns of use, opportunities to enhance sustainability performance, health and wellness touch points, and operational efficiencies. Northbound's three phase approach included: 1) gathering observational research plotted against dining data to establish rates of variability in usage patterns that impact production forecasting, customer satisfaction, and waste generation; 2) operational review of the purchasing process, suppliers, sustainability practices, service hours, menuing, staffing, technology, and space; and 3) identification of four primary vision themes and near- to long-term goals associated with each. Follow Smith Dining's progress here. Since 2006, Revolution Foods' mission has been to transform the way America eats by changing the way kids eat. With an aggressive food philosophy, the company now serves over 1 million meals a day. Northbound Ventures has helped Revolution Foods to bring fresh, healthy, affordable school meals to key urban districts across the United States by using research and analysis to make the case for change. CommonWealth Kitchen (formerly CropCircle Kitchen - Pearl) is Boston's shared use kitchen commissary and culinary business incubator. CommonWealth Kitchen is a 36,000 sq ft food production facility in Dorchester, housed in the revitalized Bornstein & Pearl Meat factory. Northbound developed several assumption frameworks for the kitchen's leadership to use as guides as it grows to refine service offerings, to optimize operational efficiency, and to consider candidate businesses for the space. One of the world's most iconic and beloved sports brands, adidas is also a leader in environmental performance. To this end, Northbound Ventures is working with the company to pilot a sustainability forum/community of practice for its retail real estate group globally to exchange energy, waste, and materials best practices. Crescent Ridge has been delivering small batch milk and quality provisions to Massachusetts families since 1932. With the home grocery delivery/local food movement growing rapidly, Crescent Ridge engaged Northbound Ventures to conduct a broad market study for staff and stakeholders, including a competitor analysis and regional food system trends. Blue Cross Blue Shield of Massachusetts is committed to healthy people and places. BCBSMA hired Northbound Ventures to inform and to facilitate its strategic planning process for a sustainable food service program, which is now being implemented through a new food service management company contracting process. Northbound Ventures is an advisor to Zip 2 Water, whose innovative technology supports zero-waste goals, promotes health, and reduces financial costs of organizations and individuals. Zip 2 Water's system provides a continuous supply of fresh, pure drinking water at outdoor athletic fields, job sites, and community events. Northbound Ventures assisted Spindrift with its institutional food service sales strategy and product sustainability profile. Northbound Ventures worked with CitySprouts to launch its teacher forum in the fall of 2014. The goal was to start a community of practice for educators, who use school gardens to enhance learning. CitySprouts' programs in Cambridge and Boston public schools allow students and school communities a deep, hands-on connection to the food cycle, sustainable agriculture, and the natural environment. FINE is a six state collaboration working to increase demand for and use of food grown in New England, by institutions in the region, as a strategy to strengthen the regional food system. FINE engaged Northbound Ventures as an expert contributor to its Supply Chain Research and Action Project, as it evaluates the state of locally grown foods procurement within large food service management companies (FSMC) across three sectors: colleges, public school districts, and hospitals. Northbound Ventures supported HP Hood LLC with its submissions to the 2014/15 and 2015/16 Innovation Center for US Dairy Sustainability Awards. Projects submitted addressed eco-efficiencies in dairy processing and manufacturing practices and strategic community partnerships for positive environmental impact.